We are shining our light on Artina Promotional Products for our Distributor Spotlight. This month we asked Artina’s President, Matina Zenios, a few personal questions. From the beginning, Artina Promotional Products was founded on the ideals of integrity, innovation and superior service. Its roots couldn’t be more humble – as a recent émigré from Athens, Greece, entrepreneur Chris Bouzounis started his company with only a small printing press in the basement. He produced and sold business cards, branded matchbooks and calendars to local businesses. Named Olympic Press in honor of his homeland, what set Chris apart was his ability to carefully listen to and understand exactly what his customers needed. With prompt and careful follow-up, those customers issued repeat business and referrals. Today 90% of the company’s 2,500 clients are repeat customers, a statistic that attests to a relentless focus on service and satisfaction. As the product line expanded, Olympic Press became Olympic Incentive Ideas, a name that highlighted the creativity that often went into helping clients select the perfect item to promote brand awareness, build loyalty, create excitement and increase sales. In 1996 when the Olympics came to Atlanta, the U.S. Olympic Committee requested the company to change its name. 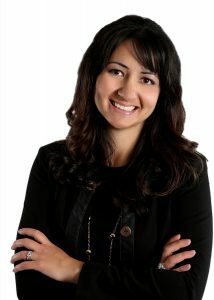 At that time, Chris’ two children, Art and Matina, had developed a growing involvement in the business, so it seemed natural for their names to inspire the firm’s third and final name change to Artina Promotional Products, Now a second generation family business, Matina serves as President and Art as Vice President & Marketing. What was your first job in the industry? Worked part time in our support department as a Billing Administrator while I was in college. What makes your company stand apart from the rest? – #1 is our amazing team. 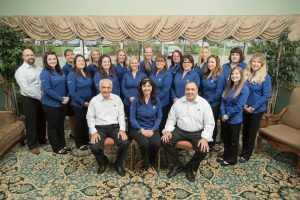 We have a perfect blend of long-term tenured team members and younger millennials all with strong service values and fresh ideas. We work very hard on our company culture to be sure that our team members know how much we value them. We are also very selective as to who joins our team, and make sure that they share in our core values. – #2 is our experience and reputation in the industry. Integrity is one of our 5 core values, and our word is extremely important to us, therefore we make sure that we deliver on what we promise. We treat our suppliers and our clients, as we want to be treated. Coolest client you created promo products for: Wow, this is a tough one. I’m not sure if it’s our coolest of all time, but a pretty cool recent one is the Cincinnati Marathon, we sold them some fun swag for their Queen Bee half marathon. Another really cool client of ours is Cover My Meds (www.coverymymeds.com). They are a very fast growing business with a great company culture. Which celebrity do people say you look like? I’ve only ever heard that I look like a woman that played on the Godfather. I don’t know who she is, but I’ve heard it a couple of times.